Want to ramp up your metabolism and help reverse some signs of aging? New research has uncovered previous unknown effects of fasting which include increased metabolic activity and newly identified anti-aging benefits. A study conducted by scientists at the Okinawa Institute of Science and Technology Graduate University and Kyoto University suggests that putting the body in “starvation mode” via fasting, leads to fuel substitution, increased mitochondrial activation and altered signal transduction, and anti oxidation. 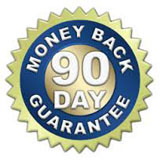 The research team identified 30 previously unreported substances which increase with fasting. The study presented an analysis of whole human blood, red blood cells and plasma which was drawn from the four individuals who were fasting for the study. Fasting induced metabolic activation. The scientists observed changing levels of metabolites which are substances that are formed during the chemical processes that give organisms energy which allows them to grow. The team’s results showed the discovery of 44 metabolites which included 30 which had not previously been identified. These metabolites increased among the subjects between 1.5 and 60 fold within 58 hours of fasting. In previous studies, various metabolites had been identified whose quantities declined with age. These included three metabolites known as isoleucine, leucine, and ophthalmic acid. With fasting, these metabolites increased in levels which suggested a mechanism that could help increase longevity in fasting individuals. These are important metabolites for maintenance of muscle and antioxidant activity respectively. These results suggest there could be a possibility of a rejuvenating effect realized by fasting. The human body utilizes carbohydrates for immediate energy when they are available. When the body is starved of carbs, it will begin looting its other energy stores. This act of energy substitution leaves a trail of metabolites known as carnitines, butyrates and branched chain amino acids. These metabolites have been shown to accumulate during fasting. Fasting appears to elicit additional effects beyond the energy substitution. From their analysis of human blood, the scientists have noted both established fasting markers and many more. They found a global increase in substances which are produced by the citric acid cycle which is a process where organisms release energy that is stored in the chemical bonds of proteins, carbohydrates and lipids. The marked increase suggests that these tiny powerhouses running every cell are thrown into overdrive during fasting. It appears fasting also enhances the metabolism of pyrimidine and purine which are chemical substances that play key roles in protein synthesis and gene expression. 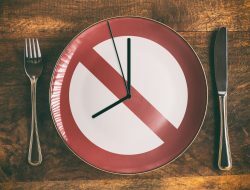 This finding suggests that fasting might reprogram which protein cells build at what time which alters their function. This change might promote homeostasis in cells or edit their gene expression as a response to environmental influences. When these two substances are metabolized, they also boost the production of antioxidants. Several antioxidants were found to significantly increase over the 58 hour study period. Antioxidants help protect cells from free radicals which are produced during metabolism. Products of a metabolic pathway referred to as pentose phosphate pathway, also stay the harmful effects of oxidation and were seen to increase during fasting however only in plasma. The researchers believe these antioxidant effects may serve as the body’s principal response to fasting. Starvation can foster a dangerously oxidative internal environment. This study shows the first evidence of antioxidants as a fasting marker. The study introduces the novel thought that fasting may boost production of a variety of age related metabolites which are abundant in youth but depleted with aging. A variety of studies show that caloric restriction and fasting have a prolonged effect on lifespan in model animals but the detailed mechanism is still a mystery. The researchers believe it might be possible to verify effects of anti-aging from a variety of viewpoints by developing drugs or exercise programs which would be capable of causing a metabolic reaction which would be similar to fasting. The next step would be to replicate the results in a larger study and investigate how the metabolic changes might be triggered by other methods. It is hoped that by understanding these changes greater wisdom will be attained about fasting for maintaining health and longer lifespan. To view the original scientific study click here: Diverse metabolic reactions activated during 58-hr fasting are revealed by non-targeted metabolomic analysis of human blood.